Beyond Indigo uses Basecamp to facilitate communication with customers who have active projects in development or are enrolled in ongoing services - SEO, Social Media Marketing, ORM, etc. At the beginning of your project, you will receive an invitation to participate. If you would like another team member added, please let us know and we'll be happy to invite them as well. All communication that you receive from Beyond Indigo staff will be sent through Basecamp. You can go to your project link at any time and see all of the discussions taking place. You can also participate via email. When you get an email from a staff member, simply "replying" in your email will track it in Basecamp and email them. Many of our customers use this option exclusively. You will also receive automated Basecamp Daily Updates. This is generated by the Basecamp software and should not be replied to. You can turn off or control the frequency of these updates in your Basecamp settings. We don't have access to your Basecamp login. Your ID is your email address. 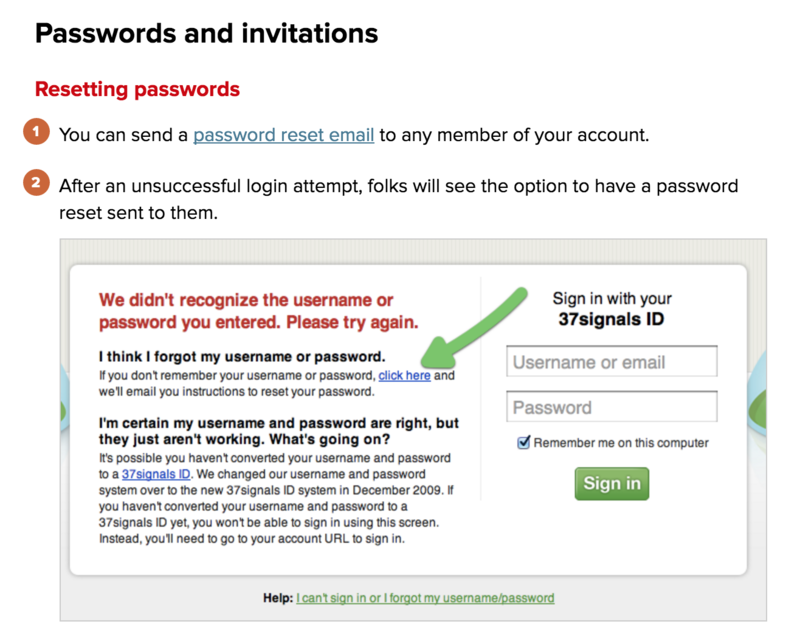 If you already use Basecamp for other projects, you one login works on all projects. You'll see it referred to as a 37Signals ID. That is the name of the company who produces Basecamp and other projects. If you have any questions about accessing your Basecamp account, please submit a ticket to the Help Desk.